Budapest is one of the most fascinating and beautiful cities, situated along the Danube. This is the capital of Hungary, located in the valley located on both sides of the Danube. Budapest lays over the total area of over 550 sq. km and has a population of approximately 2 million people, representing one fifth of the total population of Hungary. 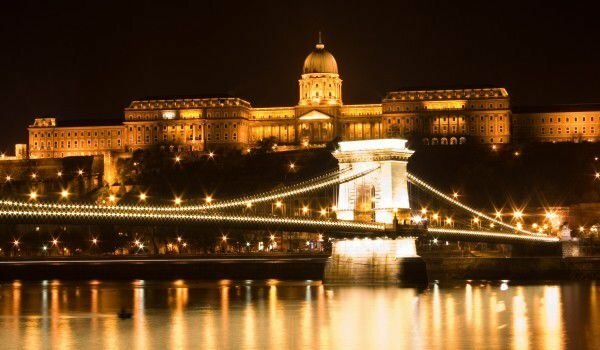 Today the capital of Hungary is composed of two historical cities located on the right and respectively on the left bank of the Danube was Buddha, Obuda and Pest, which merged in 1873. Originally Budapest consists of three separate cities that merged into one in 1873. Today among the various parts of Budapest are built beautiful bridges connecting them. 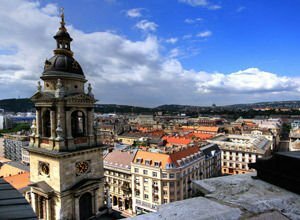 The history of Budapest began as a Roman settlement named Akvinkum, which was based at the site of an older Celtic settlement near the future neighborhood Obuda - Old Buda. Across the river, the site of today's Pest appears a village called Contra Akvinkum or Akvinkum Trans. While Buda became the seat of the Turkish governors in the capture of the city by the Austrian Habsburgs in 1686 and Pest practically depopulated. In the 18th and 19th century it quickly developed and Pest in 1723 became the administrative center of the kingdom. In 1800 Pest was greater than the Buda and Obuda put together so by the end the population had increased 20 times, while that of Buda and Obuda only 5 times. Budapest is finally united by the autonomous Hungarian government after the formation of the Austro-Hungarian Empire from 1867 to November 17th, 1873. Almost all attractions in Budapest are situated around the river. Because of the enormous historical and cultural value of the majority of the architecture in the city, many of the buildings are included in the list of world heritage by UNESCO. Among the notable buildings in Budapest are the Neo-Gothic church - Matthias Church, which will fascinate you with its interior of multi-colored tiles. Compulsory stops are the Basilica of St. Stephen and St. Stephen's. 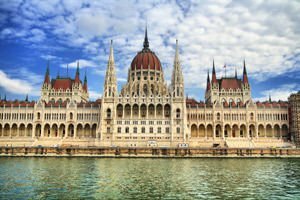 One of the most impressive buildings in Budapest is a magnificent building of the parliament. In the center of Budapest you will see a 36-foot pillar, crowned with a sculpture of the archangel Gabriel. Immediately behind it is the park of the gathered buildings of architectural past of the city. It can be seen as an ancient church and medieval castle of а Transylvanian type or richly decorated building in a strange Romanesque-Gothic-Renaissance-Baroque style of agriculture museum - the largest in Europe. Here is located the house of János Hunyadi, preserved in its authentic form. At one end of the park is one of the biggest attractions of Budapest – Vajdahunyad Castle. The palace was built in 1896 and 1908 and is surrounded by water. The construction of this castle in Budapest, brings a very interesting story. In 1896 to celebrate the millennium of the settlement of the Magyars they made an exhibition. It was decided they would erect a castle from cardboard and wood, which became very popular. Later comes the turn to build a real castle of stone and bricks. The model and the real castle is like the Romanian castle - Hunyadi, hence the name of this castle. Against Vajdahunyad is the beautiful building and urban bathroom - a unique blend of Greek and Roman ways of bathing a real cradle of what we call personal hygiene. The courtyard offers an outdoor pool, which in 1960 was adapted for use even in winter. At the side of the river of Buda stands a beautiful hill with a castle - Castle Hill, which is considered the most romantic place in Budapest. In the southern part of the hill is the former Royal Palace, which serves as the residence of the Archdukes. The ground part of the medieval building was destroyed during the war with the Turks, but in 1790 it was restored back to a palace. The restoration work on it continued until the 19th century, resulting in the architecture of the Royal Palace being markedly in the baroque style. During World War II, the palace burned to the ground and had to be built anew. Today within the palace of haloma you can see the Historical Museum of Budapest, Hungarian National Gallery and the Museum of Contemporary Art. Here you can see even the works of Picasso. Around the castle on the hill there is a whole circulatory system of medieval streets.